At its two cold storage facilities (SAFRICOPE Y PESMAR), the Pesmar Group offers customers a total storage capacity of more than 15,000 tons. The Safricope cold storage facility occupies an area of 3500 m2 and is equipped with state- of-the-art technology. It has a cold storage capacity of 22,000 m3. In recent years, the cold storage facility has been fully modernised to adapt it to the highest standards of preservation and processing demanded by the sector. As a result, Safricope now works with the latest technological advances, such as the installation of semi-automatic mobile shelves in its main cold stores (enabling extremely short access times to stored goods), new-generation refrigerators, real-time stock control and radiofrequency systems, etc. Our facility has been specially designed to preserve the products stored in each of our 4 cold stores in optimal cold conditions to guarantee food quality and safety. The Safricope cold storage facility has a capacity of 5000 tons at a temperature of -22°C. Cages and metal containers for storing tuna and large fish. 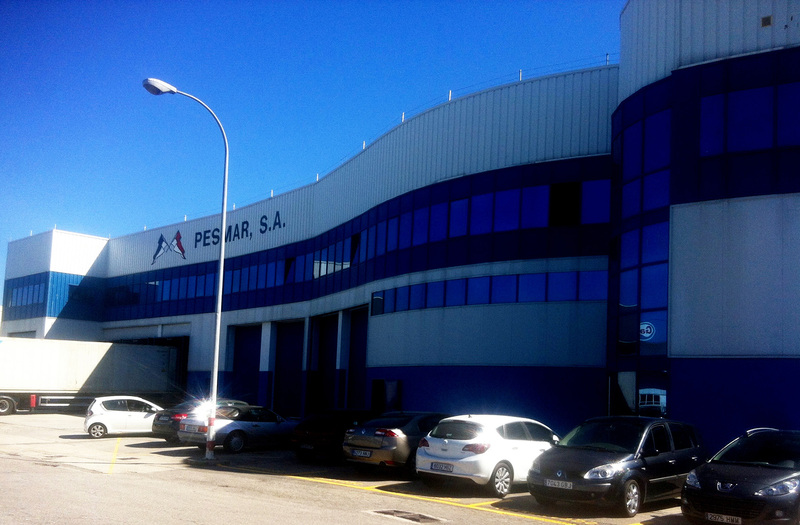 Our cold store warehouse is located in a privileged situation with excellent communications by sea, air (near the airports of Vigo, Santiago), rail and land (less than 2 km from the A-9 motorway). At Safricope, we work on a daily basis to continuously improve our processes and offer customers the service quality today’s markets demand. Loading and unloading of ships, trucks and containers. Classifcation, control, weighing, palletisation, labelling, glazing. Storage of fsh, seafood, meats, tuna, etc. Customs deposit, customs distinction, immobilisation warehouse, ADT. Real-time computerised stock management via radiofrequency. Goods inspection room with health-compliant fttings for product inspections. 24/365 access control and surveillance service.